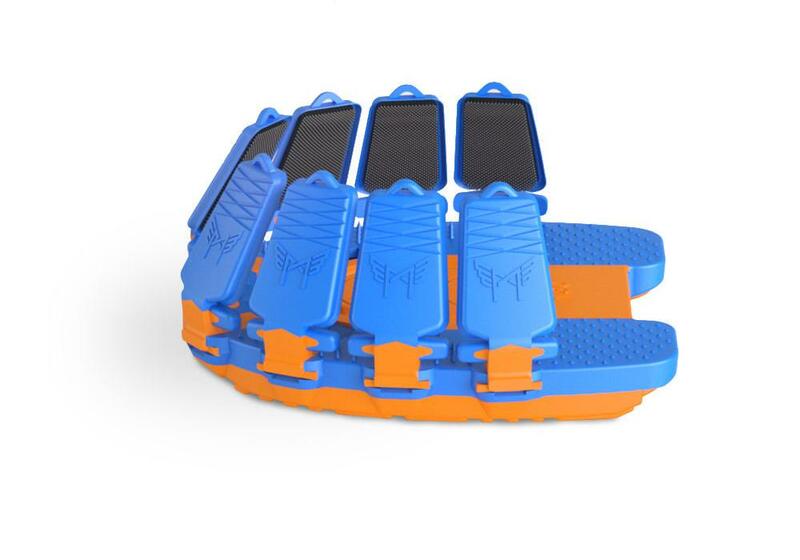 EXPLANATORY VIDEO "THE BIG 3"
OFF SPORTS SHOE FOR YOUR HORSE. 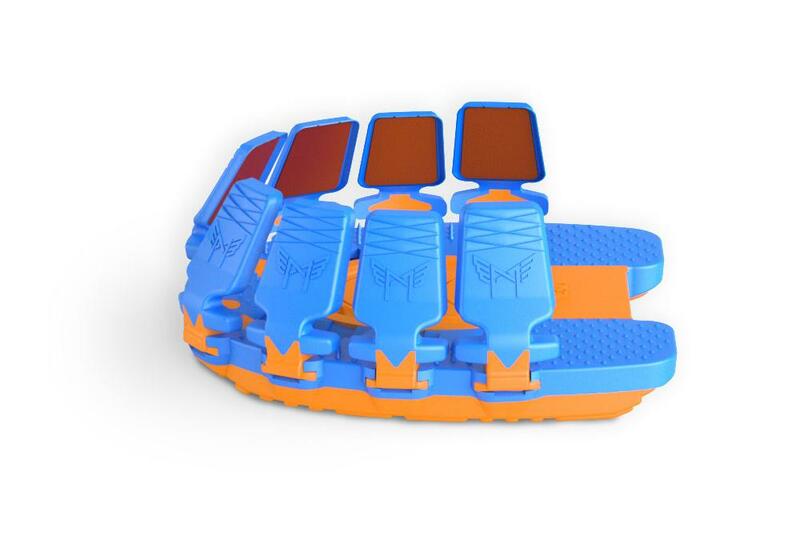 The Megasus Med'n'Rehab is the world first hoof protection that is only fastened to the hoof wall and can be put on and taken off. 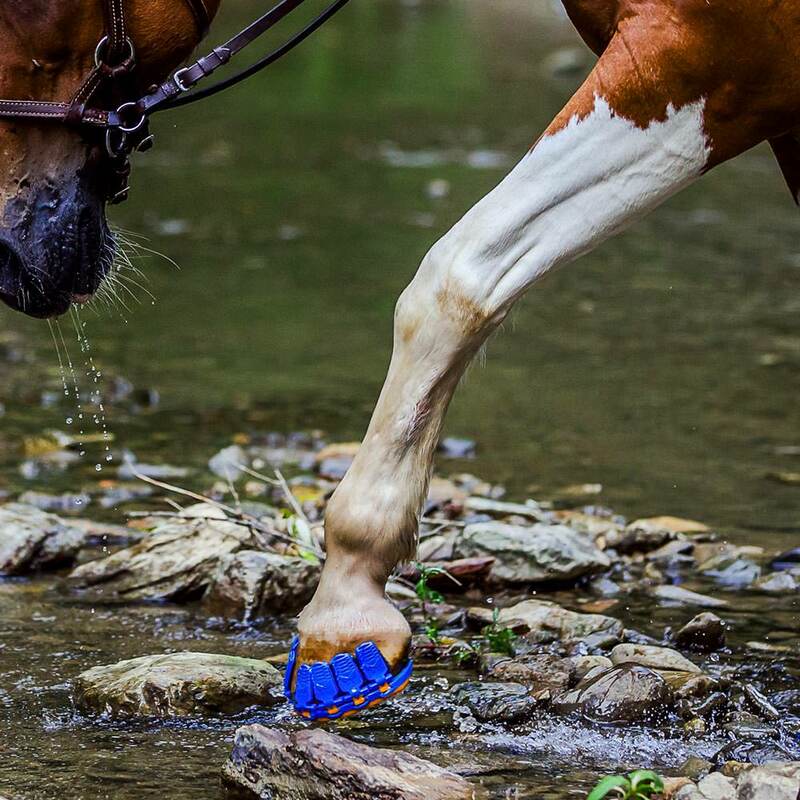 Our patented fastening system makes it possible: with the special self-engaging Velcro mushroom tapes, the Mega-Lock Tape is glued to the hoof with a 1-component adhesive tape. The Mega-Lock Side-Clips clip onto the Mega-Lock Tape with a resounding ‘’snap’’, like a snap-on button. On and off in seconds! 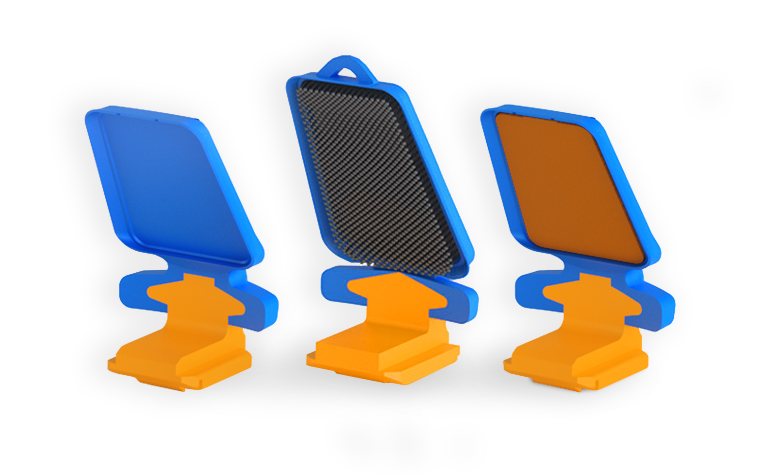 With the Megasus Run'n'Fun, we've revolutionized the tried-and-tested glue-on solution: as strong as before, now with a revolutionarily quick application time and a fraction of the glue. For times when you are exposed to extreme situations and want lasting protection, the Megasus Run'n'Fun with the Mega-GLUE system is just right for you. A touch of 2-C glue is all you need. 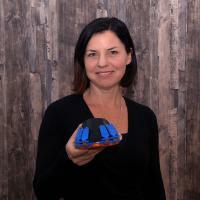 Gluing has never been so easy and precise! Simple, gentle and ideal for do-it-yourselfers: permanent hoof protection with the Megasus Quick'n'Stick. 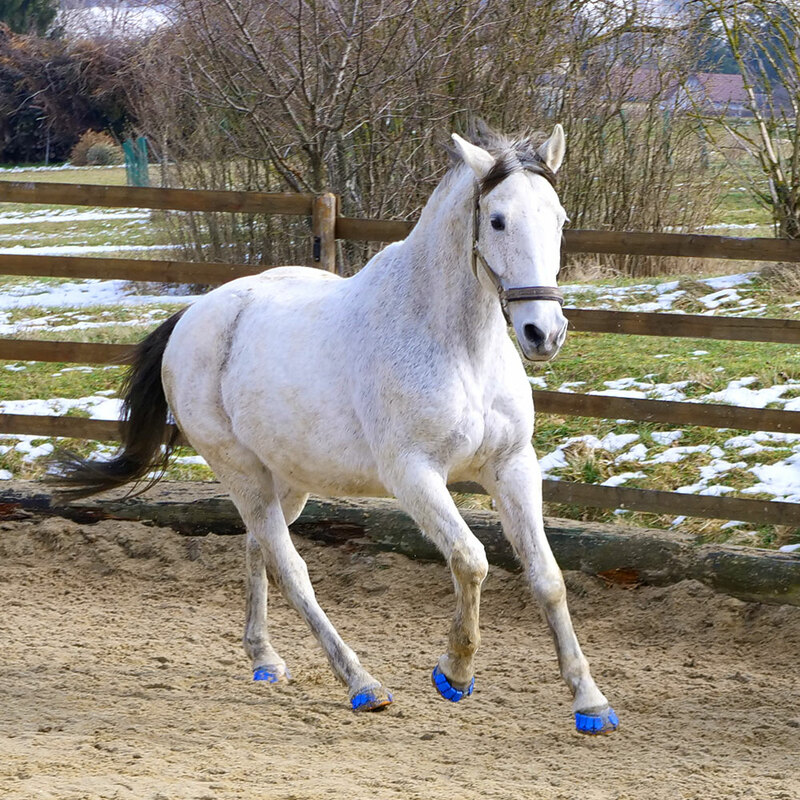 A hoof protection with the Mega-STICK system that can be glued on just like a band aid: can it be? 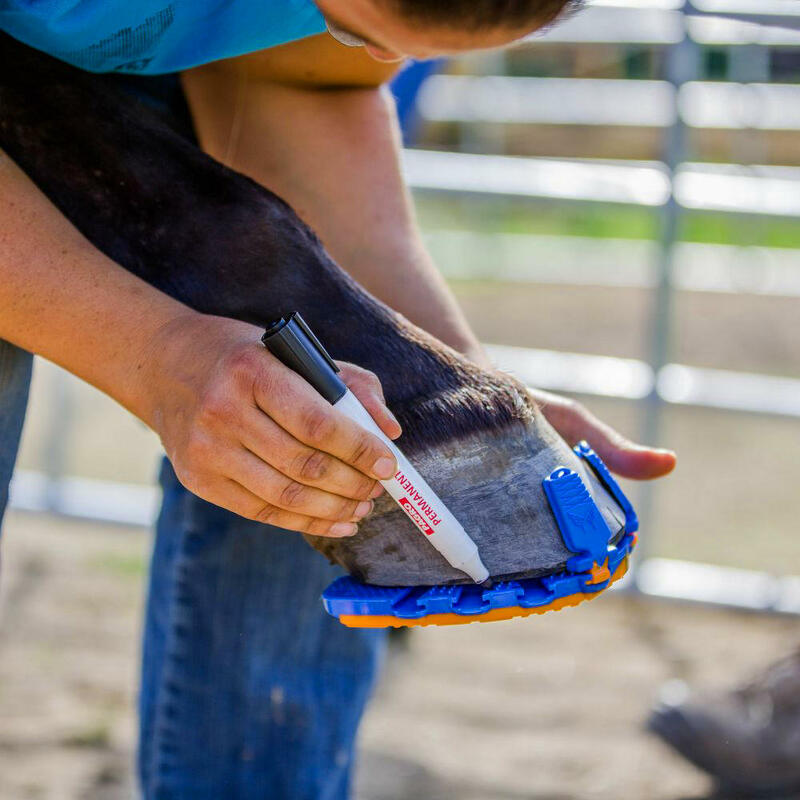 The special double-sided adhesive tape with the Mega-STICKS is applied directly to the hoof. It doesn't get any easier! 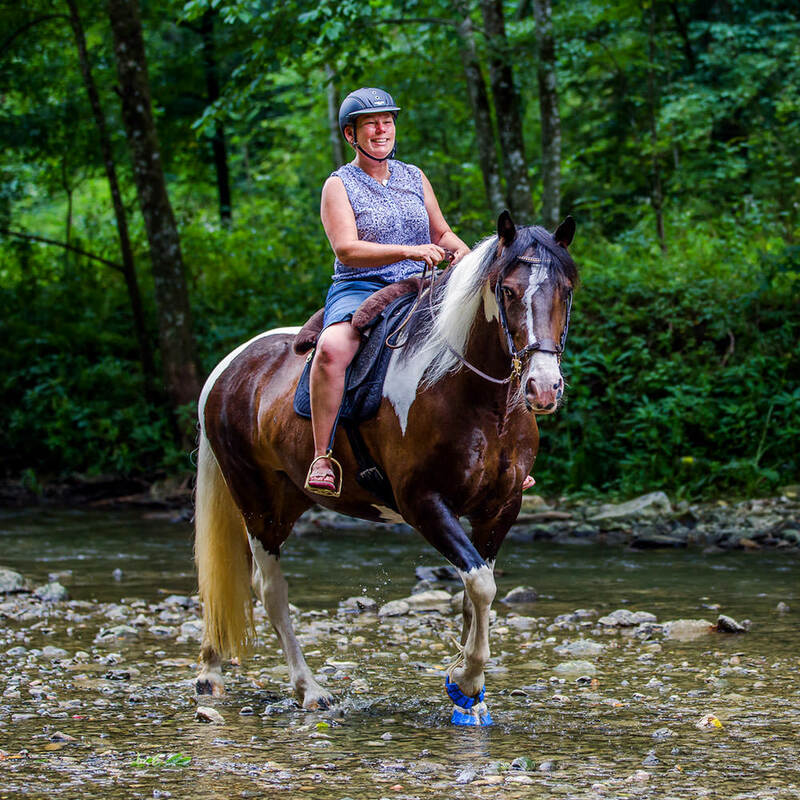 Whether for upcoming trail rides or for hands-on horse lovers: the Megasus Quick'n'Stick is simple and it looks great.